Its important in certain situations for form users to authenticate and/or verify their consent when completing your form. 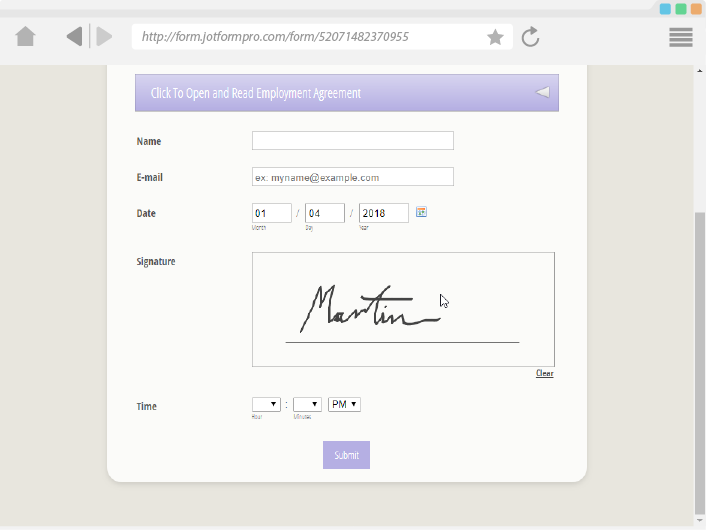 One of the widely used methods is appending a digital signature to the form. 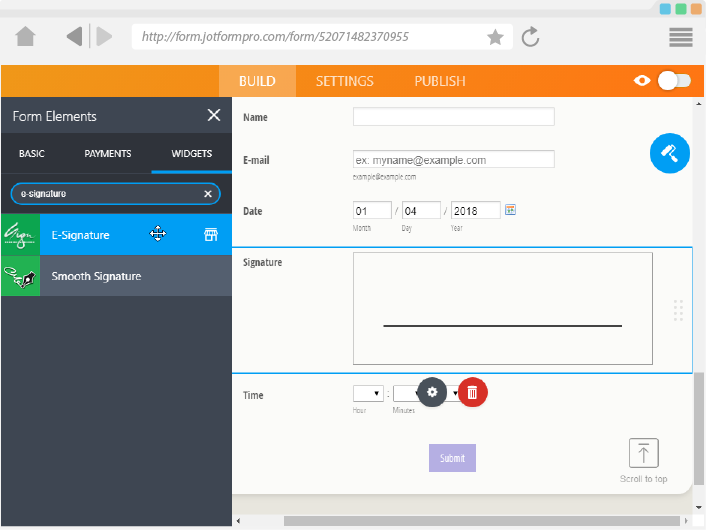 The E-Signature Widget allows your form users to draw their signatures using their mouse, touch screen device, or any other input device that will allow them to draw their signature on your form as a confirmation or verification of consent. 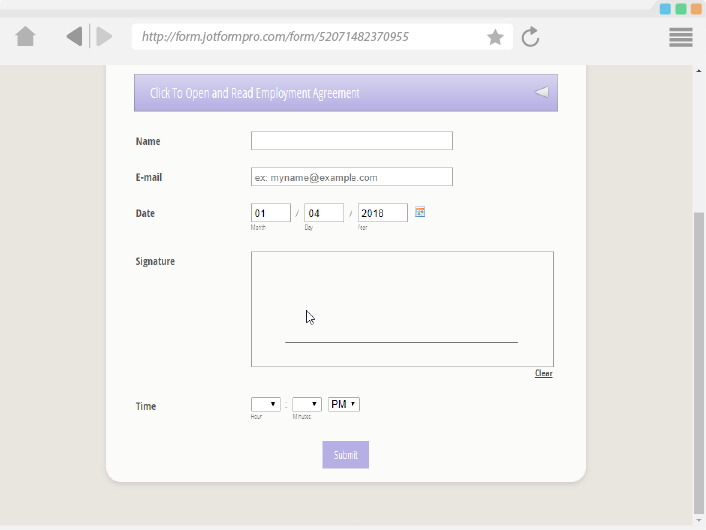 The widget requires no additional configuration, and you can re-size it to fit your form layout. 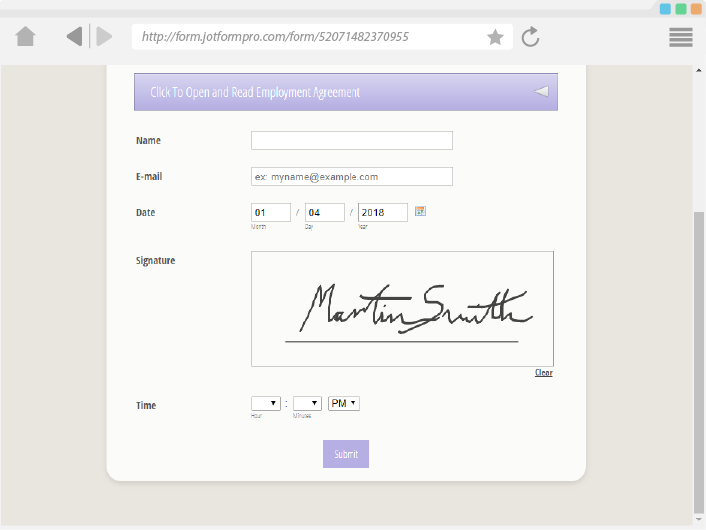 Get digital signatures for your form quickly, accurately and with ease using this widget.